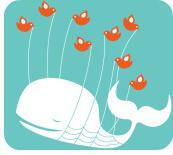 Last week, Twitter was hacked by a user that implemented an auto-follow bug that forced users to follow others. Twitter discovered this, and immediately went to work to resolve this security breach. While that was going on, somehow everyone’s follower/following count was reset to zero. Talk about a panic! At one point last week, we all had the same amount of followers as Britney Spears, Ashton Kutcher, Oprah and CNN. How’s that for ironic? All that hard work, competition and dedication went down the drain in seconds. The Twitter team eventually resolved the situation, restoring everyone’s accounts, but it got me thinking about something. Online personal branding could be hugely affected if a person put all their effort into one platform. What happens if you had your entire (professional or even your business’) presence dependant upon a singular medium such as Twitter? Spread the wealth. Use multiple platforms online such as Twitter, Facebook, LinkedIn, and Brazen Careerist (all my suggestions – there are more) to promote your personal brand. Don’t rely on a single site to do this. That way, if one goes away or is hacked, you’ll still have the others to rely on. Be consistent. This is your personal brand, right? No matter if it’s on Facebook or any others, you should be consistent. That way, people can see that you’re the same person across the board. It becomes very clear very quickly if you’re not being yourself online. It’s a supplement, not replacement. I can say this all day long. Social media is simply an extension of your personal brand and identity. Don’t let it serve as a replacement. Instead, I would encourage you to view it as a supplement. You still need a résumé, need to network face to face with people, and pick up the phone for a discussion. Own it. Starting a blog can help bring together all your profiles into one centrally located portfolio. There are several free hosting services out there such as WordPress, Blogspot, and Posterous. All have extended services for a small and very reasonable fee. Creating your own blog will allow you to own your information. If Twitter, Facebook, or others go away, you’ll still have your blog. Those are just a few suggestions to help build and manage your personal brand online. I’m sure that there are other ways, so please feel free to share them with us. Leave a comment below, join the Facebook page (www.facebook.com/CampusToCareer), and subscribe to the blog. I’d love to connect with you as well. See my information on the “Let’s Connect” tab at the top of the page. As always, thanks for reading. Kirk – Love how you broke this down and also alleviated our “fear” of Twitter disappearing. It’s evident that your personal brand is working and it’s a great example for the rest of us !! The ideal scenario is to never put all your conversation in one “room.” Move around, but comfortably focus your efforts on a handful of sites; maybe 3-6 [Twitter, Facebook, Ning, LinkedIn, etc]. This allows you to mix things up and gain a larger conversational/market reach for yourself and your business.